Do heavy rains cause your existing gutters to overflow? Do you have a larger roof or multiple roof areas draining water into one gutter? The Rain Master seamless gutter system from LaPorte Seamless Gutter can handle it! 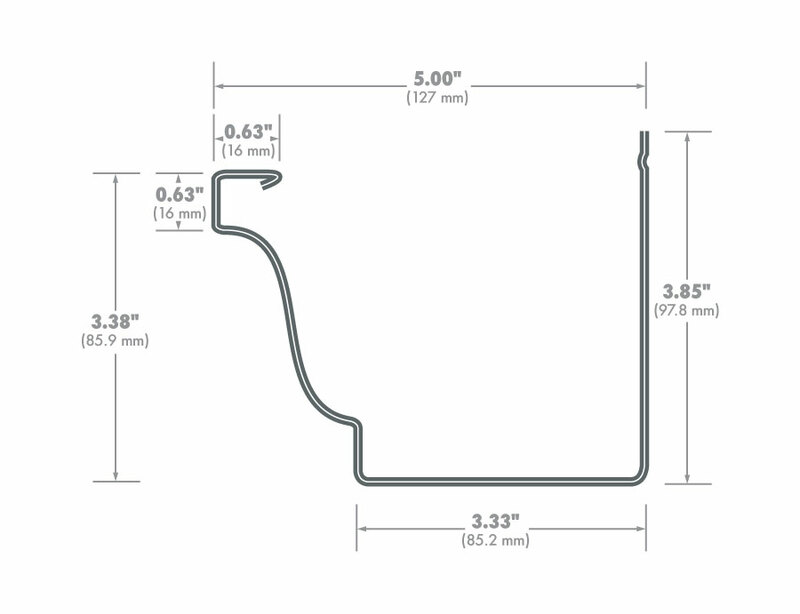 Our five inch continuous gutter with 3×4 inch downspouts is designed to carry much larger amounts of water. The larger downspouts increase the volume of water discharged by thirty percent over standard gutter and downspouts. Our gutters are made from heavy-weight (.032 “) aluminum, then installed with our Dura-Screw hangers, placed every twenty-four inches for maximum strength. The Rain Master system drains 35% more water than our Classic system, yet it doesn’t look out of place on a residential home. 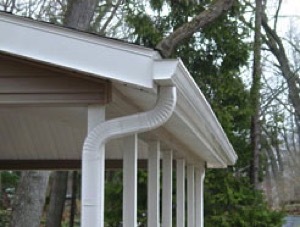 Form and function at the same time with LaPorte Seamless Gutter! Rain Master is available in over one hundred designer colors, fifteen of which we carry in stock at LaPorte Seamless Gutter. Our sales staff will be happy to measure your home and give a free, no-obligation estimate.